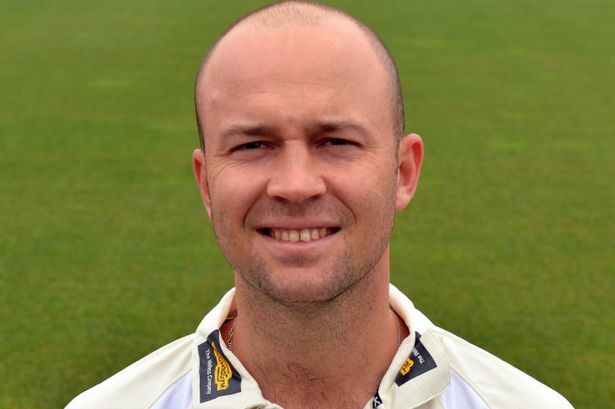 England’s triple Ashes-winning batsman Jonathan Trott – who left the tour of Australia last November because of a “stress-related condition” – will be talking about his experiences at a celebrity dinner in Birmingham. Mr Trott, together with ex-Warwickshire colleague Ashley Giles, will be guest of honour at the event, organised by Birmingham Press Club as one of the first events of an official Benefit Year awarded to him by Warwickshire County Cricket Club. BBC Midlands Today presenter Nick Owen will lead a Q&A session at the event on Friday, September 5, at Opus Restaurant on Cornwall Street in Birmingham city centre. Press Club chairman Ed James said: “Jonathan, now in his 12th season at Edgbaston, has made a tremendous impact on Test and county cricket in England. Mr Trott, aged 33, said: “Warwickshire players, staff and supporters have been fantastic to me during my time here at Edgbaston, and their support has been instrumental in helping me win trophies with the Bears and establishing myself in England’s Test and ODI teams. I love living in Birmingham and I had no hesitation in committing my long-term future to the club. Dougie Brown, director of cricket at Warwickshire CCC, said: “I played with Jonathan early in his career and could see that he had a special talent. “His runs in the 2004 County Championship were crucial to our success and built a platform for him to become one of the most dominant batsmen in the domestic game before winning his first England cap in 2009. Tickets for the three-course luncheon, which will support two of Jonathan’s local charities, Cure Leukaemia and the Tiny Babies Big Appeal, are priced at £85 plus £17 VAT. There is a discounted ticket price for Press Club members - £70 plus £14 VAT.